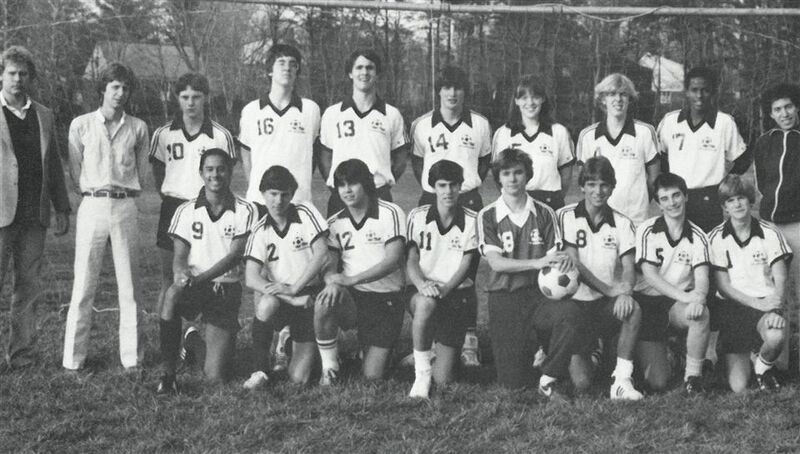 Thirty-five years ago this fall, St. Andrew’s won its first-ever conference championship as the 1982 co-ed soccer team brought home the first of many banners. The self-proclaimed “new guys” upended a number of formidable foes with deep soccer legacies to take home the title. The team will be inducted into the St. Andrew’s Athletics Hall of Fame on October 14 as part of Reunion Weekend. The second class of Hall of Fame honorees, which include two athletes, a team, and a teacher/coach, will be recognized during a ceremony on Holden Court. It was only the team’s second year practicing on the field at the Bradmoor Campus, and it was the first season for Coach Gabe Hodziewich. 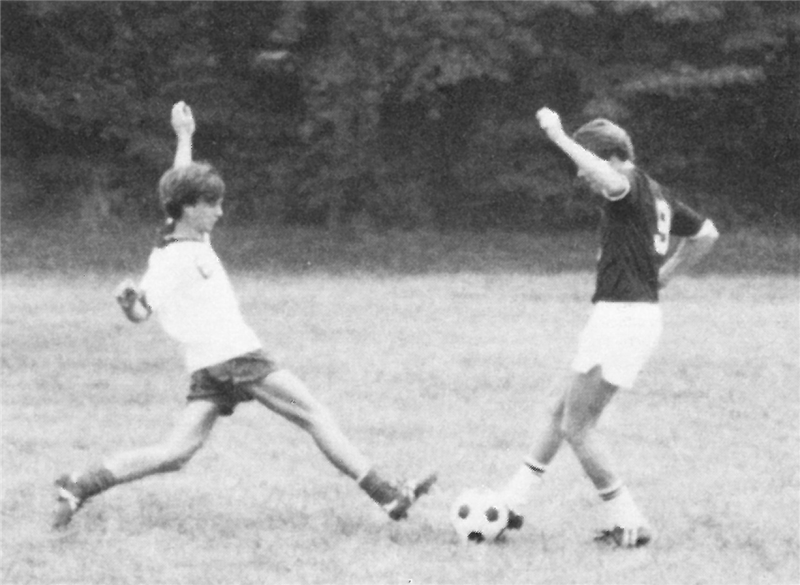 Co-ed teams were common in the early years of the Potomac Valley Athletic Conference and St. Andrew’s was no exception, with 14 boys and one girl. Tom Graves ‘83, a defender on the 1982 team, said he was proud to be on an athletic team that had strong camaraderie, even though it didn’t rank high in the school’s early years. That fall, the team won 11 matches, losing only to Sidwell Friends (2-1), St. James (3-1) and Queen Anne (3-2). The team won some matches overwhelmingly—11-0 over Georgetown Day, 7-0 over Edmund Burke—but came through by the skin of their teeth to beat Pallotti (3-2), Model Secondary School (2-1) and Harker Prep (2-1). 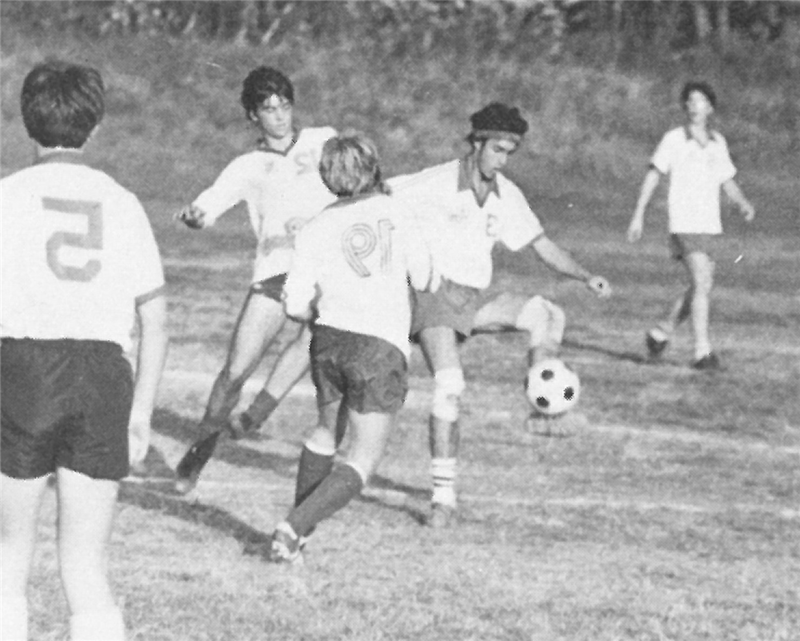 The PVAC regular season title match on Nov. 2, 1982 pitted St. Andrew’s against Queen Anne School. Freeman ‘85, however, credits Hodziewich with developing a team that was capable of taking home a banner. Team members included David Bowen ‘84, Andrew Dickie ‘86, Tom Graves ‘83, Scot Aubinoe ‘83, Aimee Causey ‘84, Chip Prettyman ‘84, Hank Lewis-Page ‘85, Jerry Thompson ‘86, Lansing Freeman ‘85, Eric Thompson ‘83, Donnie Gross ‘86, Quentin Lide ‘85, Scott Simpson ‘83, Steve Bensinger ‘85, and Chris Reed ‘84. The coaches were Gabe Hodziewich, Daryl Looney, and Seth Berg.